It’s the perfect opening line for this book – ominous, cryptic, even slightly humorous (in a dark sort of way). Just the thing to draw the reader in. Because once you’re in, there’s no getting out. Your fate is sealed. You will be hooked from start to finish as you explore a strange and unsettling new world. 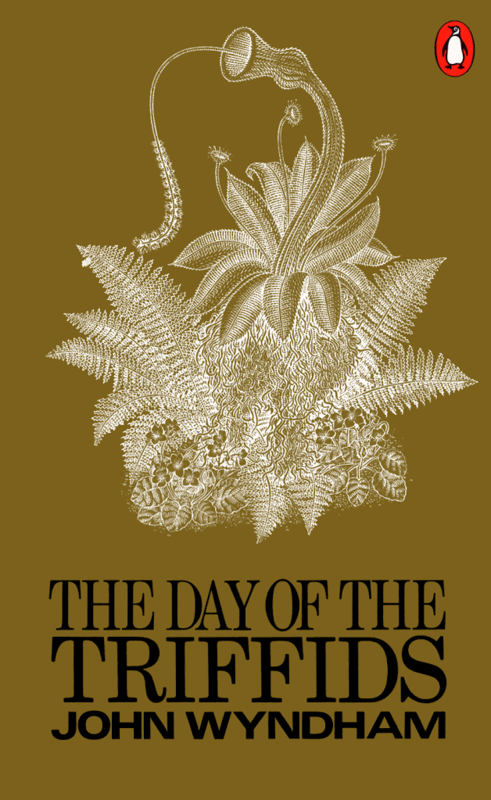 Published in 1951, John Wyndham’s classic (but oft overlooked) sci-fi novel The Day of the Triffids begins in London, detailing the events following a strange “comet shower” which leaves the majority of humanity stricken blind. Those few with sight must come to grips with this new way of life, as they struggle to survive and rebuild their shattered society. And that’s not all. Enter the Triffids, a species of genetically altered plant. Their exact origin is a mystery, but people suspected they were the result of biological experimentation in the USSR. They can walk around on their three “legs”. They seem to be able communicate with one another. And they eat flesh. Each one is armed with a poisonous whip-like sting that allows it to kill and feed on the decomposing carcass of its prey. Before the cataclysm, the Triffids were a nuisance. Now – with most of mankind rendered helpless – they pose a serious threat; not only to the sightless, but to the sighted as well. The premise is a tad unorthodox, and to some it may even be laughable. But trust me, once you start reading, the story is anything but laughable. Wyndham infuses his work with well-crafted sense of tension and down-to-earth realism. He makes the implausible sound completely and utterly possible. And that is what good sci-fi is all about. It must be, I thought, one of the race’s most persistent and comforting hallucinations to trust that “it can’t happen here”- that one’s own little time and place is beyond cataclysms. Confronted with the need to begin rebuilding society, London-based survivors band together for that very purpose. But when considering the question of how to go about it, there is sharp disagreement and a split develops. Interestingly enough, the reason is a purely ideological one. One faction argues that “morality” is subject to the times; that “right and wrong” are relative to the sort of world in which one lives. They believe the survivors must adapt their sense of morality in the interest of self-preservation. For instance, if this means that the sacred institution of marriage must be laid aside, and fornication permitted in order to increase the number of pregnancies, so be it. Life must go on. The other group rejects this humanistic approach, and counters it with an appeal to God’s law. They believe that right and wrong are not mere societal inventions to be altered as man sees fit, but rather objective, God-given values. Tampering with them will only lead to ruin. The book draws to a close on a hopeful – if rather unsatisfactory – note. Apparently, Wyndham intended to write a follow-up but died before he could do so. Eager readers are left with a cliff-hanger finale. It nearly drove me crazy with frustration. Come to think of it, I may just have to write the sequel myself someday, so I can see how things turn out in the end. All in all, I highly recommend Wyndham’s book as an intense, thoughtful, superbly written piece of science fiction. It’s worth reading, and if you’re an avid sci-fi buff like I am, you’ll probably wish to visit it more than once. Great review, Corey! 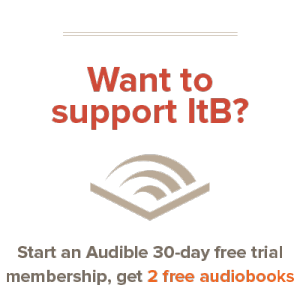 As you know, I really enjoyed the new TV series of this book, and I’m glad to hear that it sounds like just as good a read. 😀 I may have to get this out at the library sometime soon!